Oleksandr Usyk could be offered a fight against Dillian Whyte or Derek Chisora next year. 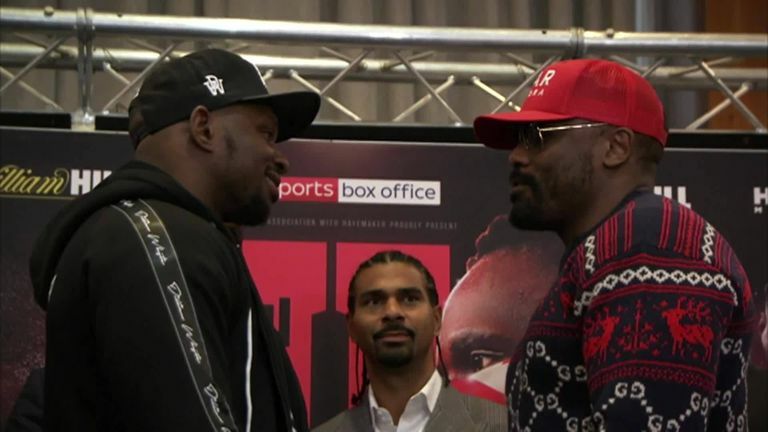 Whyte and Chisora will settle their grudge on Saturday, live on Sky Sports Box Office, with Usyk and Anthony Joshua among the interested spectators at ringside. "Usyk could fight the winner or loser of [Whyte vs Chisora]," promoter Eddie Hearn said. "No-one really knows how good Usyk truly will be at heavyweight. We know he will be good, but can he mix it with the big boys? That is the fascination." Can [Usyk] mix it with the big boys? That is the fascination. Usyk is the undisputed world cruiserweight champion after a stellar 2018 that saw him the World Boxing Super Series semi-final and final, then knock out Tony Bellew. His long-held desire is to step up to heavyweight to challenge Anthony Joshua but, with his promoters K2 working alongside Matchroom, will likely take other fights in the top division first. "Usyk won't mess around. You won't see him fight someone average," Hearn added. "Carlos Takam is a guy that would make sense - a bit small but powerful and strong." SERIOUS BEEF! 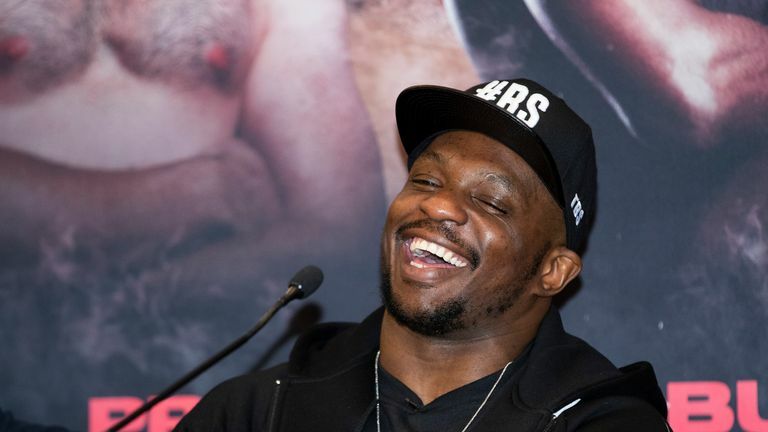 @DillianWhyte & @BigBabyMiller relationship "not pleasant"
Whyte warns Miller to "stay away"
Usyk has a wildcard option of defending his four cruiserweight belts against Andre Ward, who retired in 2017 with a 32-0 record as a world champion at super-middleweight and light-heavyweight. "I think that would be the only fight that Usyk would stick around at cruiserweight for," Hearn said. "There are so many different narratives - it would be a 50-50 fight, Ward going up to cruiserweight. Ward's manager James Prince told Sky Sports earlier this month that "anything is possible" with regards to coming out of retirement.